← What about “Peak Coal” and Climate Change? Have you found that your Recycle Bin is fuller than your Trash Bin? Evidently Arizona State University in their quest to have a carbon neutral footprint has a group that is working to make it happen. ASU’s Zero Waste Ambassadors have started educating tailgaters at the ASU football games on how they can reduce their footprint. This weeks post on ASU News gave the following information for the ASU 2015 Zero Waste Goal. Sun Devil Stadium tailgaters may have spoken with small student groups roaming around before recent home ASU football games. These students are not there primarily as sports revelers, but zero waste ambassadors. Outfitted in “Zero Waste by 2015” emblazoned black T-shirts, their mission is simple; to educate football fans about the university’s 2015 zero waste goal. Arizona State University commits to minimizing waste through diversion and aversion. ASU reduces water waste by the use of more efficient fixtures, better water management, and distribution of effluent water for use by mechanical and irrigation systems. 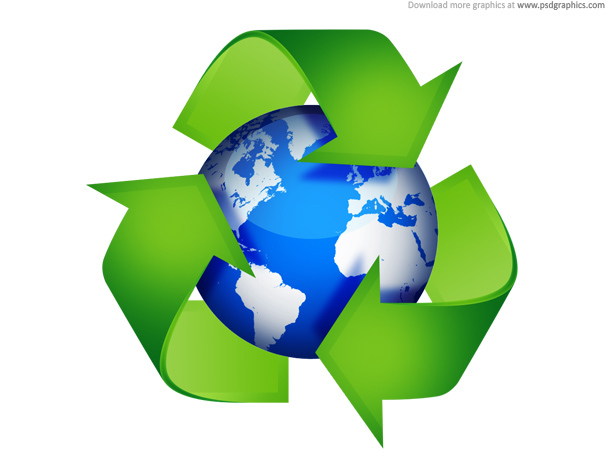 Solid waste is diverted from the landfill through recycling, repurposing, reusing, and composting. Waste is averted through reduced consumption. Sun Devils can recycle plastic, aluminum, paper, and cardboard on all four campuses. Check your campus’s recycling page for additional recyclable items. ASU is developing a university-wide composting program. Currently, landscaping waste is composted through a partnership with a local farmer. The program diverts an average of 140 tons of landscaping waste from the landfill each year, returning the compost to ASU as fertilizer for the Tempe Campus Arboretum. Sun Devils Surplus Exchange and Transfer (SunSET) is a university-wide “classified ad” system for exchanging ASU property. Through SunSET, ASU departments can re-use office supplies, lab supplies, some types of furniture, and other un-needed items. Surplus Property harvests and sells metal from retired ASU property, recycles cardboard and paper that cannot be reused, and generally does all it can to reduce waste and increase revenue. ASU Mail Services has partnered with Ecological Mail Coalition to help reduce each department’s junk mail. Ecological Mail can help decrease the volume of catalogs, magazines or other advertising mail for employees who are no longer in a department. ASU filters and stirs together odd lots of old paint for reuse on small projects around the campus and the community, in the process eliminating a hazardous waste. ASU’s campus is Arizona’s largest public arboretum, dedicated in 1990 and committed to proper water management and conservation while educating visitors about the complex ecological systems on earth. Facilities Management has instituted several practices designed to reduce the amount of water used in landscaping on campus. About two-thirds of campus is watered at night to prevent evaporation. An initiative is also underway to automate the remaining systems so that the different plants on campus receive water based on both current weather conditions and a given plant´s evapotranspiration rate. Existing flood irrigation infrastructure has been preserved for future use with a gray water system when practicable. ASU has reduced water consumption in many buildings around campus through the installation of low-flow water fixtures such as sinks, showers, toilets, and in some buildings, waterless urinals. On average, these efficient appliances use approximately 30 percent less water than their conventional counterparts. Filtration stations located in ASU residence halls allow students to refill both one-gallon and five-gallon jugs with fresh water, saving them money and reducing waste. Sun Devil Dining is committed to making environmentally responsible decisions across its operations, minimizing environmental impact while providing quality food and service. The University Club focuses on creating a sustainable environment through its food selections, waste conservation, and more. Atlasta Catering is the official caterer of the University Club. Campus Harvest engages the ASU community in planting and harvesting food from ASU’s extensive urban campus to provide fresh, local produce for campus kitchens, for charity, and for sale. CSA partner Crooked Sky Farms provides fresh, local, organic produce to community members at ASU’s Polytechnic and West campuses. Students, staff, faculty, and others purchase shares of high-quality, local produce, providing financial security to a local farm. Arizona State University at the Polytechnic campus has created a community garden, the first of several planned for all campuses. The garden encourages students to learn about permaculture and sustainable food practices, creates a sense of community, and transforms an underutilized area to one that is more vital and engaging. Following a 2005 order by the governor of Arizona, ASU now requires, to the fullest extent practicable, Leadership in Energy and Environmental Design (LEED) Silver certification for all new construction of university-owned and operated buildings. Review a portfolio of LEED buildings at ASU, both current and pending, along with all other recently completed buildings on the Downtown, Polytechnic, Tempe, and West campuses. Campus Metabolism™ provides an interactive web tool that enables users to examine real-time energy and water use on campus — by individual building, building type, or the entire campus. The Sustainability Toolbox is an online collection of strategies and resources for ASU departments interested in sponsoring “green” offices and hosting sustainable events. If ASU can set this as a goal why shouldn’t we? This entry was posted in Alternative Energy, Economics, Education, Environment, Gardening and Composting, Recycle, Water Conservation and tagged Recycle, Reduce, Reuse, Zero Waste. Bookmark the permalink.